We’ve all tried to figure out at some point why crocodiles and alligators are from different families, and not more like distant cousins from the same family. With the risk of sounding a bit racist to reptiles everywhere, they basically look the same. 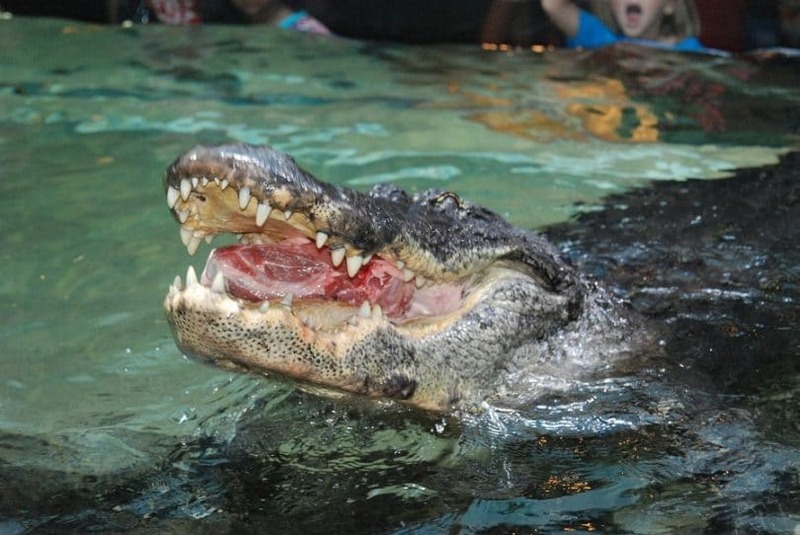 But the question of alligator vs. crocodile still remains: what makes them so similar and how can you tell them apart? Well, there are some tell-tale signs that you can definitely use for deciding which is which. 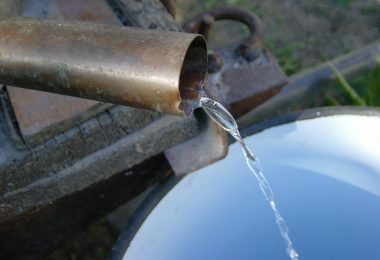 However, some of them are still tricky and hopefully, you’ll have many interesting things to learn from this article. The Alligatoridae, which includes your average alligators and caimans. The Crocodylidae, or the crocodile. The Gavialidae, which is comprised only of the gharial, a little harmless reptile that loves to eat fish. They all have scales, which act like an armor. Their perfect, strong construction is a marvel of evolution and has been their strong point for ages in their fight against other animals. They thrive in water, basically because of these scales, but of other abilities they’ve developed during the time, like swimming. They can reach a speed of 20 mph, which is pretty decent. Crocodilians are also great on land because they have sturdy legs which allow them to reach a running speed of 11 mph and follow their prey even outside water. They have cool diving abilities, which renders them fearsome stalkers. Just imagine they can lurk under the water for almost 1 hour while holding their breath. Their eyesight is really enviable because they can see well during the day thanks to the positioning of their eyes, but their night vision is also top notch. Their hearing is better than you would expect for someone who doesn’t have visible ears: they’re said to hear even their little ones moving inside the eggshells. Their jaws are extremely powerful and can snap even the strongest animal bones in a matter of seconds. They have an endless supply of teeth. Even as the old ones become dull and useless, new ones continue to grow in their mouths, sharper than ever. 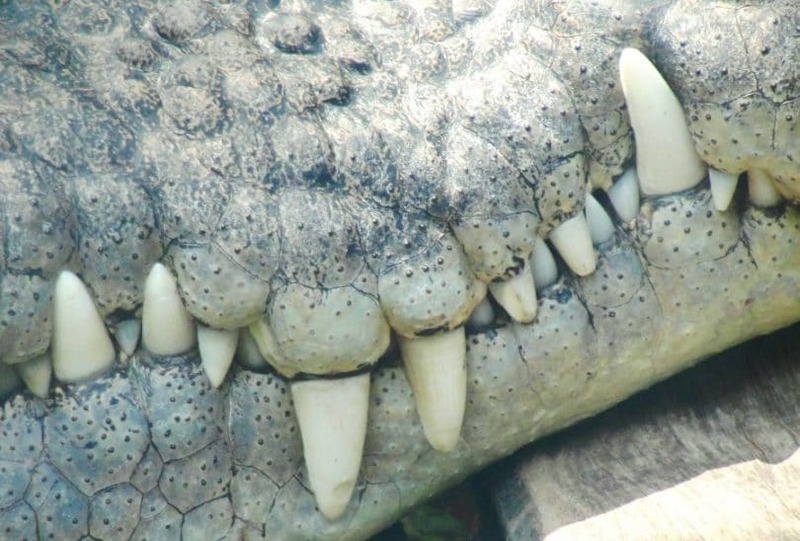 Crocodilians don’t use their teeth for chewing their food. These are just there for a better grip of their prey since their table manners include swallowing food whole. Basically, whatever can be said about the Crocodilian order as a whole, can be applied to its two most renown families. Therefore, both the alligators and the crocodiles are fearsome reptiles, with long, strong tails and sharp teeth. They seem similar because of their short legs with webbed feet and scales, but they’re also very smart and thrive in water. Their eyes look the same too, mostly when it comes to their pupils, which are vertical. They both do extremely well when hunting during the night since they have awesome night vision. Plus, once they catch their prey, they can eat it anywhere: on land or under the water. That’s because they have a sort of pouch on their throats which prevents them swallowing water too. And although they generally eat aquatic animals or those that come too close to their home, they have been known to attack people too. What’s the difference between an alligator and a crocodile? You’ll see one later and one in a while. So you’ll have to take a close look at all the details to see how the distinctions emerge from them. This probably is the most obvious difference, and still, it doesn’t say much at first glance. But it’s important to know they come from different families because that tells the story of their ancestry. And ancestry, along with adaptation to various surroundings, makes crocs and gators look and act differently. It has been said that the easiest way to know which is which is by analyzing their snouts, that are quite dissimilar because of their eating habits. It hides the fourth tooth. It’s stronger and can withstand more force applied to the bone. It’s specially designed for eating turtles or invertebrates which have hard shells. It works on eating other animals without shells too, but these are not the main dish. It doesn’t camouflage their fourth tooth. Is less strong than the jaw of the alligator, and can withstand less force applied to the bone. It still poses a lot of threat to different sort of animals, since this jaw can break most animal bones. It’s very versatile and can be used for catching a vast array of game. You should know that these differences aren’t the end all of telling the Crocodilian families apart. And the connexion between the jawline and what they eat hasn’t been researched to the full extent. Although it’s clear there’s a relationship between the two, we’re not sure it’s necessarily causal. Plus, there are tens of Crocodilian species, which means curiosities may always appear. 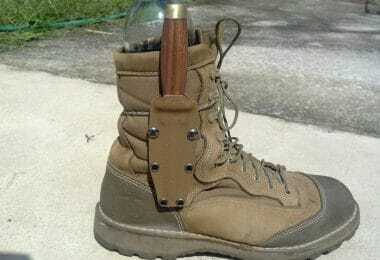 Take the Indian Mugger for instance. This is a Crocodile that lives around India and the nearby regions and which doesn’t have your run-of-the-mill pointy and narrow crocodile-looking jaw. In fact, it looks more like an alligator from that perspective, even if the fourth tooth rule is respected. 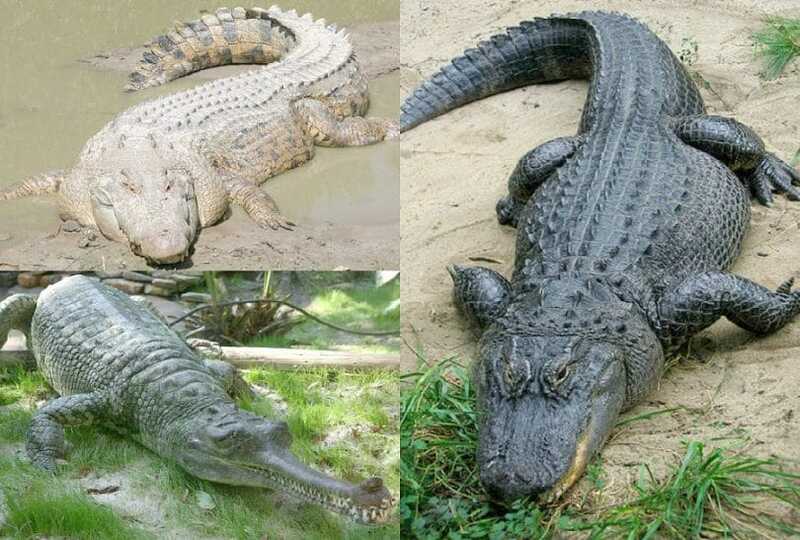 But there are other criteria which tell the difference between alligators and crocodiles with more accuracy, like the ones below. Since these two mega beasts have different looking jaws, they’re prone to have different looking teeth. Or at least, placed differently inside their mouths. The broad upper jaw, which is fully covered by the lower jaw, keeps the lower teeth well hidden. When they keep their snouts closed, the lower teeth go in little holes in the upper jaw where they can’t be seen. The fourth tooth isn’t visible because of its little home in the upper jaw. Both their jaws are similar in width, which means the teeth from the lower jaw can’t be hidden. 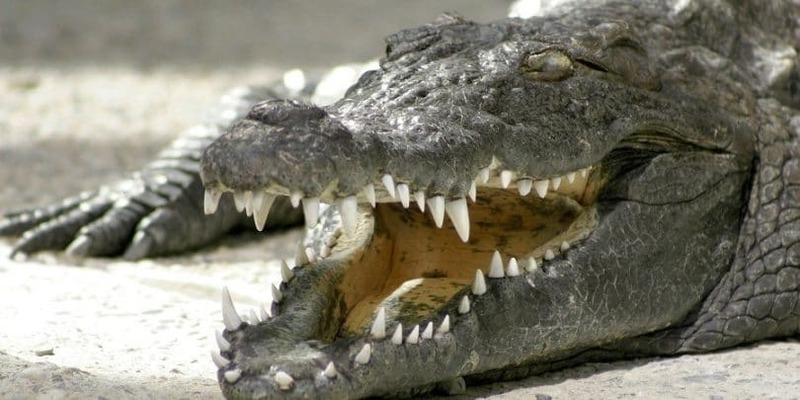 The upper and lower teeth are basically placed between each other when crocodiles keep their snouts closed. The fourth tooth is larger, and can’t fit inside their upper jaw which makes it a visible difference when these Crocodilians keep their mouths shut. Perhaps suggesting a different ancestry along the line, or an adaptation to a different environment, crocodiles have salt glands on their tongues which can’t be found in alligators. Are some sort of salivary gland. Apparently, they used to secrete a lot of salt in the past, but they don’t anymore for unknown reasons. They have an adaptation purpose since they make the crocodiles’ lives easier in the sea, which has high concentrations of salt. Are a strong argument that the crocodiles are of marine descent. And in the good old days, the ancestors of the modern crocodile could migrate over huge areas of the sea. They even thrived there when they decided to settle down, which is why crocodiles can now be found everywhere across the globe. They enable nowadays crocodiles to live in saltwater too – or at least some species. 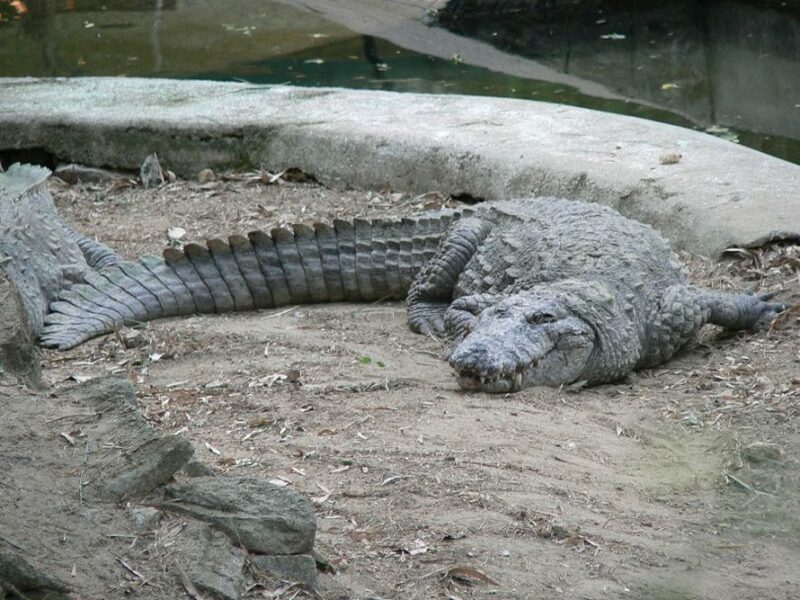 The Indo-Pacific crocodile, a.k.a Saltie is one of the largest reptiles on earth and on land. He loves living in the coastline estuaries, and he even enjoys a swim in the sea. On the other hand, poor alligators can’t make up extra salt through their salt glands, which renders them less equipped for extended trips to the seaside. But although their preferred environment is in freshwater, they can still manage some saltwater if it’s not for very long. And nature has a funny way of surprising us: sometimes alligators have been found along mangroves and coastlines too. Who doesn’t like bathing in the sea at least for a little while? But for this reason, alligators are less adaptable creatures than crocodiles, which is a proven fact when studying their habitats. While they’re pretty common just in the Americas and in India, crocodiles have populated a lot of the Earth’s waters through their extended migrations in the old ages. These are basically organs that allow these two beasts to understand their surroundings better. They’re sense organs which let them know if the pressure in the water has changed in any way and how. 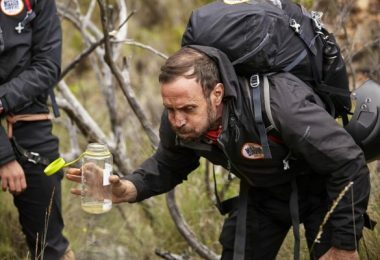 That lets the crocodiles and alligators know if some potential prey has come knocking around their dwelling place, or if another danger has arisen. With the help of the little black nodes, they can immediately take action. The name of these sense organs has changed with time, so if you do further research, you’ll find them listed either as Integumentary Sense Organs, either as Dermal Pressure Receptors. But that’s not the most important thing here. Around the upper and lower jaws for alligators. Everywhere on the scales for crocodiles. The most amazing thing is that we don’t know why this difference appears, though biologists are sure they have the same purpose of identifying pressure changes. 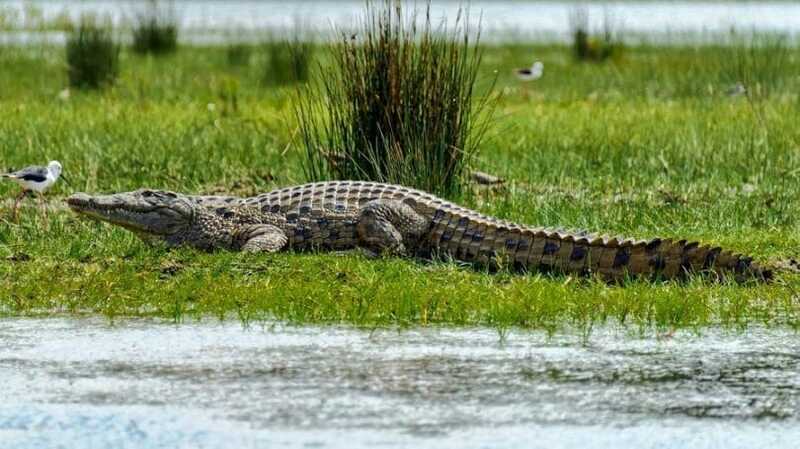 It’s been said that crocodiles can use them differently, maybe even for figuring out the chemical composition of their environment, or to detect the level of salt. 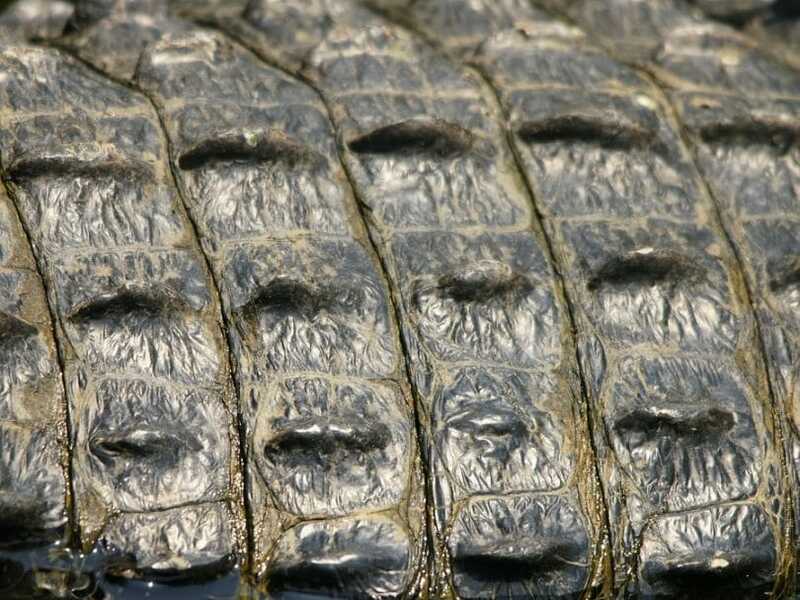 Crocodiles have small black dots on their bodies. Alligators don’t have black dots on their bodies. 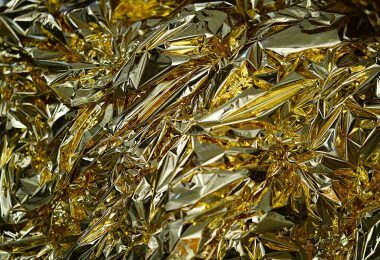 Now you can even tell if your expensive purse or pair of shoes is really made from crocodile skin. Apart from the little black stubs that help differentiate crocodiles from alligators, there are other characteristics regarding their skin. This difference can be explained through their environments because both these beasts are perfectly adapted to their homes. Gators live in swamps, which are darker. Crocs live in canals, mangroves, and streams, which are lighter. Basically, their color helps them remain stealth, hidden from their prey and ready for a surprise attack at any time. There’s a caveat to all this too: gator kids can have brighter colors, some of them even have yellow spots on their bodies. We’ve talked about how crocodiles and alligators differ from a few points of view, but all of them are related to their looks. And looks aren’t everything in the animal kingdom, it’s out personalities that really makes us stand out. We’re sure you’ve asked yourself that when you were a kid, and you’ve probably scrolled down this article to see if we can answer this question for you. 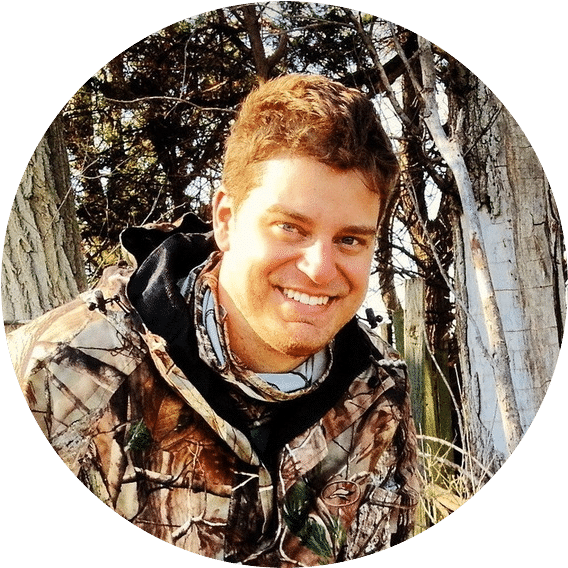 Aggressive behavior: Biologists and zoologists tell us that alligators are the calm, easy-going ones from their Crocodilian order, but that’s a general observation and it can be contradicted in practice. Size: Plus, if you put them in a fight, you never know who might win. 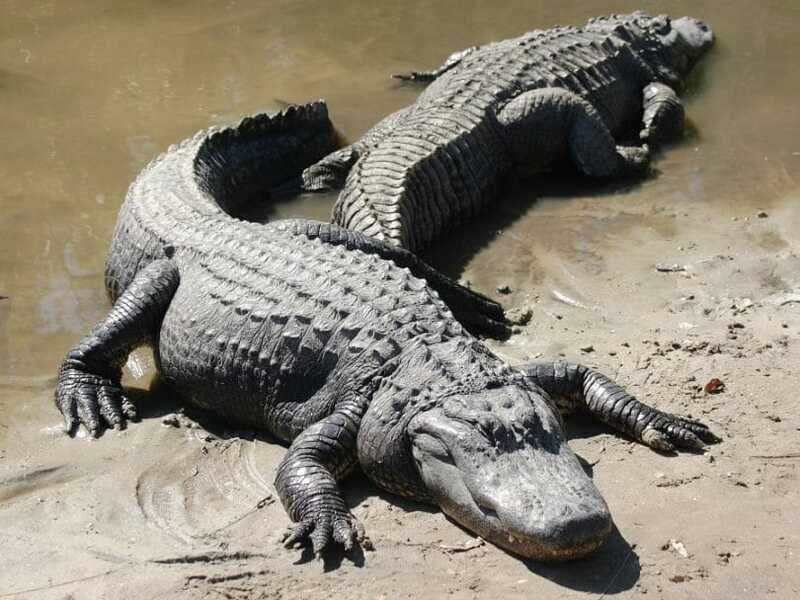 Alligators and crocs have different lengths, depending on their species. So if you stage a fight between 15 feet long alligator and an African crocodile which only reaches 5 feet, the crocodile would lose. But bring a Saltie in the limelight, and its impressive 18 feet long size will prove a valuable advantage. 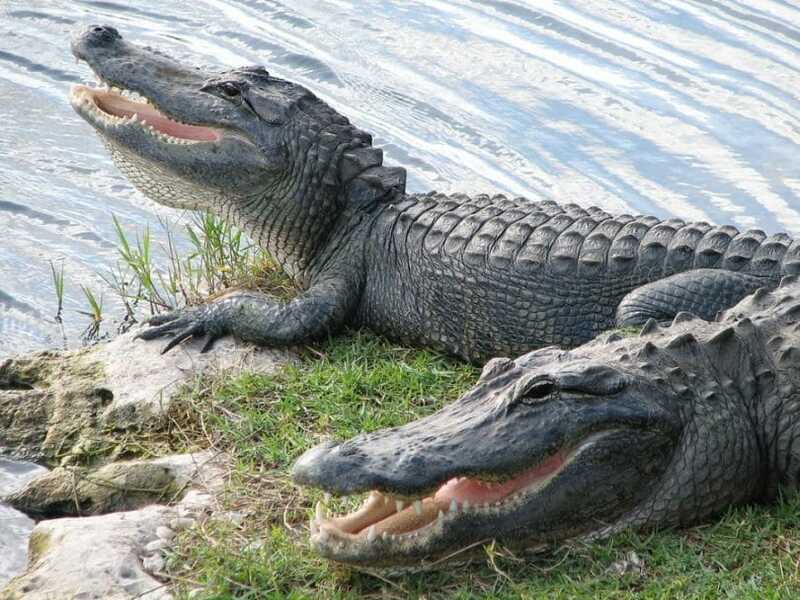 Jaw strength: As you probably remember from before, the alligators have a much stronger jaw than crocodiles, so that should be an important factor too. So if a gator and a croc that have the same size would start a fight, the gator would probably kill the croc because it’s stronger. However, we’re not sure a gator would engage in such a fight to begin with, and this little behavioral particularity may prove fatal to the calmer beast. Apparently, crocodiles actually cry when they eat, but that’s not just because they feel sorry for their prey. They do that even when eating inanimate objects, like crackers, as they have been fed during one study. At which point, most of them produced some sort of liquid foam from their eyes that looked like soap bubbles. There are many explanations for this weird phenomenon, but nobody knows exactly why it happens. It may be because crocodiles huff and puff while gulping down their dinner. That makes all the air go in their sinuses, where it builds up a lot of pressure. This pressure stimulates the tear glands so they produce more tears that come out of their eyes. It may also be because crocodiles have very powerful jaws. And when these contract in order to bite food, their movement is so strong that tears are literally forced out of crocodiles’ eyes. Another explanation is gravity. Since tears can simply build up in their eyes, they overflow when crocodiles tilt their heads down to eat. Or maybe crocs really hate the taste of their food. Anyway, apparently alligators are less sensitive about their food and don’t actually cry when they eat. The answer to this question is gators, at least for the females. There have been studies regarding the Crocodilian’s mating patterns, which show that most female alligators will choose the same partner over and over again. 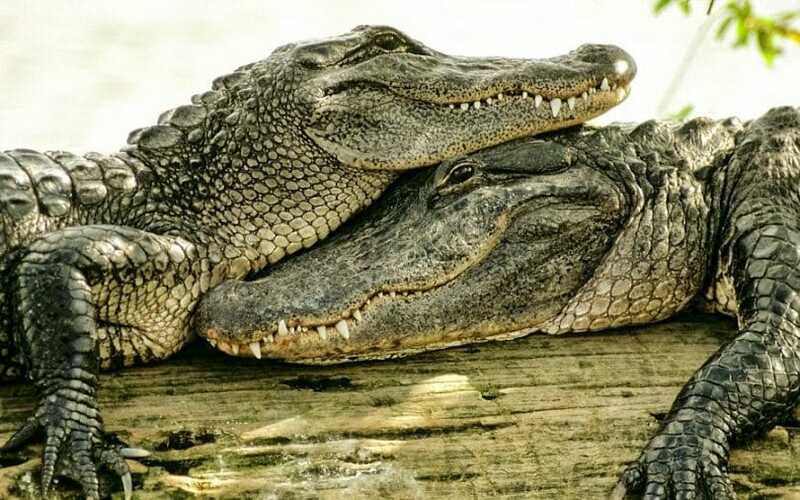 On the other hand, male alligators aren’t that loyal to their women which prefer to mate for life. Crocodile women aren’t that faithful, either. They like to mix their genes with those of different males, even during the same mating season. We know that because scientists have tested their eggs, and found that the same batch of eggs hosted genes from different daddies. But the pater semper incertus issue isn’t necessarily a bad thing. It shows that crocs are more interested in their evolution and like to make sure they one day rule the Earth. Which is probably another reason why they have developed many additional abilities, being more aggressive and having populated more regions. Having discussed all that, we hope that the differences between gators and crocs are more obvious now. However, the facts which stem from these particularities are far more interesting than simply telling these two beasts apart. That’s because we love how everything about their looks and personalities shows a different adaptation to the environment. That really makes us have a new found respect for these reptiles. And now tell us what your take on all this is. Are you as giddy about how crocodiles and alligators seem so similar, yet so different at the same time? Have you ever had an encounter with such a reptile? Do you think it’s easy to tell them apart? And the most important thing: who do you think would win in a fight between these two mammoths? The comment section is right below, don’t be shy! Before you embark on your next adventure, check our tips on crocodile hunting to help you catch your prey.